Today the Ford Sayre ski team drove up to the Trapps Family Lodge. There, we finally took our first strides as a team. Although waxing was a bit difficult we were soon on the trails. We started off with practicing technique on a good section of the trail. 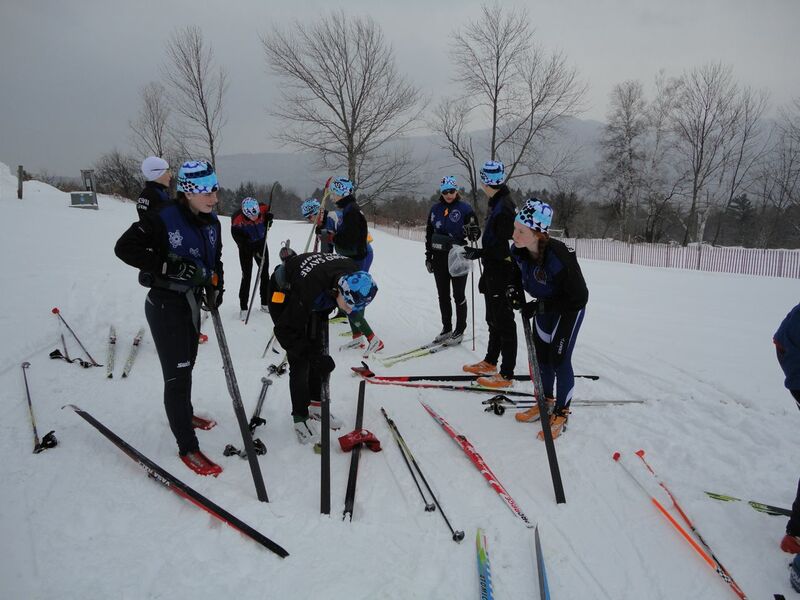 We took off our poles for several loops and worked on getting our wax to stick. In an hour we had already improved a great deal with direction from Scottie and Astri. After this we worked quite a bit on downhill technique. We accelerated to catch the person in front of us and worked on keeping our skis flat on the snow. It was a great way to get our legs back under us; preparing us for the monstrous roller coasters on our challenging home course. We continued on to the race course starting at the “start”. By now we were slightly tired, but we still wanted to preview the course. There is a chance that the upcoming Eastern Cup will be held there. After finishing the course we ended the day with speedy speeds and mass starts. Finally it was time to put on warm clothes and to part from Trapps, but without doubt we stopped at the Champlain Chocolate Shop/ Cabot Shop. A delicious end to a great day.